The Housing Authority of the City of Lumberton is located in Robeson County with our main office at 407 North Sycamore Street, Lumberton, North Carolina. Housing Authority of the City of Lumberton (HACL) was established in 1949 to provide low income citizens with safe, clean, and affordable housing and help improve their quality of life. 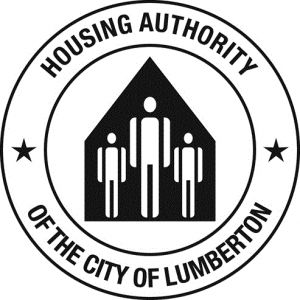 The Housing Authority operates as a governmental unit chartered by the City of Lumberton through the Department of Housing and Urban Development, representing the US Federal Government. The City Mayor appoints the Board of Commissioners; we currently have a seven (7) member board. The Housing Board governs the hiring of the Executive Director and has ultimate responsibility to ensure that the agency operates in compliance with HUD and Federal Government policies. The Executive Director acts on behalf of the Board, directing the day to day operations and ensuring that the vision and plans set out by the Board are implemented. Public Housing – Units that are owned and operated within the City limits. Housing Choice Vouchers – Financial assistance of families in Robeson County with private landlords providing the physical structure. Building resilient families by collaborating with several public agencies and private organizations to provide a wide array of support services for residents, enabling them to become productive and self-sufficient citizens. Management of like programs to promote the furtherance of Fair Housing.